2012 | What's the Point? You can ask any of my friends, family members or coworkers. They will tell you the truth: I am obsessed with coffee. I've been drinking espresso since I was a kid (thanks to my Poppy) and I routinely pay for good coffee rather than sampling the acid inducer my office tries to pass off as coffee. So when I initially heard about Starbucks coming to Disney Parks I was thrilled. Lets be honest: Nescafe just didn't cut it when you needed a jolt from a good cup of joe. I assumed the Starbucks partnership would be just like the old McDonald's partnership - they would put a few stands up in each park that featured Starbucks signature beverages and possibly serve Starbucks coffee in table service restaurants. This is fabulous, I thought. That is, until the news was leaked that Starbucks would replace the Main Street Bakery. It took a while to process this because my dreams of giggling while riding Splash Mountain until 4am with a venti no whip caramel frappuccino in my hand were powerful. Hold up! The place that is all about the theming and back story is adding a Starbucks to Main Street U.S.A.? Someone please explain to me how Starbucks fits in with early-20th-century small-town America! I soon realized that my love for a good Disney backstory outweighed my love for coffee. Of course we happened to be at Walt Disney World when this news was announced. We also happened to be in the Magic Kingdom for Extra Magic Hours. As adults we take full advantage of EMH. We took a long nap during the day and went to the Magic Kingdom at 10pm. By 2am, we were heading (slowing) down Main Street and noticed the line for the Bakery was out the door. We decided to pick out (very healthy) breakfast for the next morning. While in line we were chatting with a Cast Member who must not be named. I said to her, "Please tell me the rumors aren't true." She looked at me and said she only knew what she read on the Internet and like us, was devastated. She grew up with Disney and made a stop into the bakery every trip. And that is the biggest shame of this partnership news: generations of traditions will be tossed out the window for a corporate giant to swoop in. For good measure we stopped at City Hall Guest Relations to voice our displeasure with the news. The cast members said that the bakery will remain and Starbucks will operate inside. I have my doubts but I will withhold further judgement until after the work is completed. 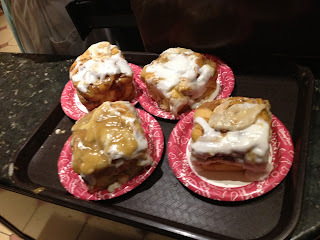 They did say the cinnamon buns will now be served in Gaston's tavern in the New Fantasyland. I can tell you first hand that they are NOTHING like the cinnamon buns pictured above. Nonetheless, this marks another sad day for Disney tradition. There is upgrading and improving and then there is destroying. If Starbucks replaces the Main Street Bakery this would easily fall under destroying. 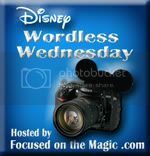 Thanks for letting me dramatic and wordy on this "wordless" Wednesday! Welcome to those of you joining me from The Magical Mouse Pad and those of you just hopping aboard. I am the 4th stop on our Magical Blogorail. Today we are discussing our favorite nighttime spectaculars. When I think of Disney, I don't think of crazy roller coasters; instead, I think about world class entertainment for the entire family. 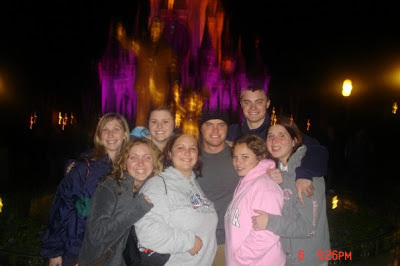 The first time I saw Wishes: A Magical Gathering of Disney Dreams it was June 2004. It was two months before I was supposed to start my College Program and I was hoping I made the right decision. We sat down directly in front of Cinderella Castle and took it all in. Jiminy Cricket's voice encompassed the park and I was immediately hooked. I didn't know where to look first -- the castle, the fireworks, or the kids and adults around me who looked absolutely mesmerized. During my College Program I always loved when I was at a position outside of Space Mountain during the fireworks. I would sing along with the guests watching from Tomorrowland. I was also very lucky to have roommates who loved Wishes as much as I do. On our very last day of our College Program, I was in charge of driving my roommates back and forth to the airport. It was a depressing job, and to try to make things right, we sang Wishes while listening to my CD on the top of our lungs back and forth. With my roommates watching Wishes. Wishes is a terrific, heartfelt show. Whether you are there to see Tinkerbell fly or for the huge booming fireworks at the end, you are in for a real treat every night in the Magic Kingdom. Over the years I've found new ways to enjoy the show. I watch the show from all different places now. Some of my favorite spots are from the top of the Contemporary at the California Grill, the porch of Narcoosee's from the Grand Floridian, or the beach at the Polynesian. If you are a park purist, I suggest watching from the Tomorrowland bridge. No matter where I see the show, it will always have a special place in my heart. I dread the day that Disney replaces the show. My favorite years at Disney have always included a night of Wishes! 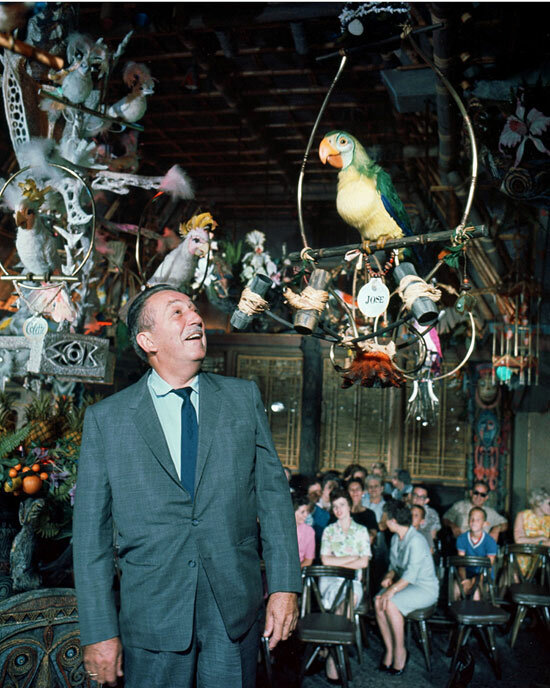 What are your favorite memories of Wishes? Welcome to those of you joining me from Your Highway In the Sky and those of you just hopping aboard. I am the 2nd stop on our Magical Blogorail. There are a select few who are lucky to live close enough to Walt Disney World that they can get in their cars and go when they feel like it. 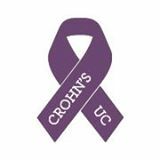 I once had the pleasure to say I was among this group... but I am sad to report that I am no longer part of this fabulous group. It is especially hard to come to terms with when you've tasted the pleasure of living so close and had it taken away. In fact, it's left me in tears on several occasions. There are other ways to transport yourself to Walt Disney World. All it takes is a little IMAGINATION! When I'm needing a real Disney fix, I turn to the WDW Today podcast. I've been listening to these guys for years and they truly "get it." They provide truly intelligent Disney planning information. No matter how much I THINK I know, they teach me something new. They are also really funny! They tell jokes that only a true Disney fan would understand. It's like being in on an inside joke with friends. Keep up the good work WDW Today! Nothing truly transports a person to another place like music. The recognition of just a few notes could trigger a memory locked in your brain for safe keeping. You may not notice it while you are at Walt Disney World, but there is constantly music playing wherever you go. It is intentionally played in certain areas to create atmosphere and contribute to an areas theme. I listen to Sorcerer Radio and Mouse World Radio almost every day at work, on my commute, and at home. There is nothing that helps me calm down more than good music! 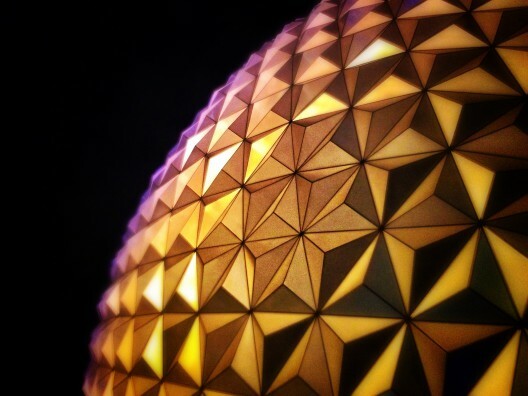 Both stations have a knack of giving me a Wishes or Illuminations fix when I need it the most! The best part about all of these options is that they are absolutely FREE. You can listen to them both for free on Live365 or on their free iPhone apps. As I mentioned before, there's nothing better than talking Disney with people who "get it." The Disney community is widespread and robust. I am lucky to be a part of several great communities, such as the Magical Blogorail! 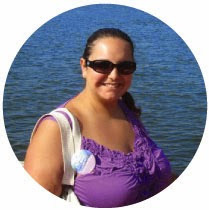 When I'm down, I'll go read my fellow blogorailers sites. I immediately know I'm not alone. Just since I started blogging, I have found so many Disney fans in my backyard. Wear a Disney tee shirt to your local mall and I guarantee you'll get a few comments from fellow Disney fans. Use your Disney Dooney & Bourke on the subway and Disney fans will show themselves! We are a Disney family, my friends! Support one another and we can keep the magic alive, wherever we are! Thank you for joining me today. Your next stop on the Magical Blogorail Loop is Disney Living. Welcome to the first stop aboard Magical Blogorail Black. 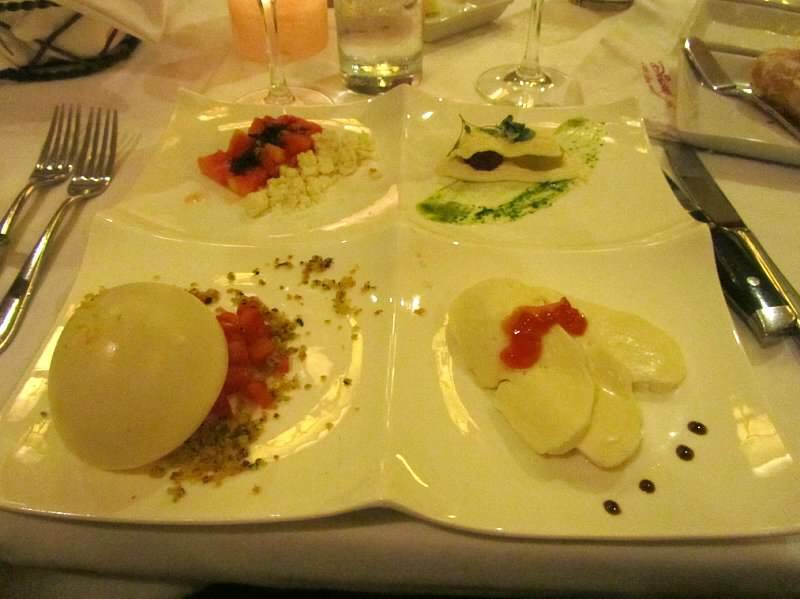 Enjoy the ride as we share with you our most memorable Disney dining experience. If you are a loyal reader to this blog you know that I LOVE dining at Disney! It is a wonderful place to dine for many reasons. First, there are very diverse menus. Many people do not know this - they assume that since it's a theme park, you are limited to burgers, pizza and french fries. However, that could not be any further from the truth. Second, as someone who has food allergies, Disney does a great job making people feel comfortable in situations such as mine. 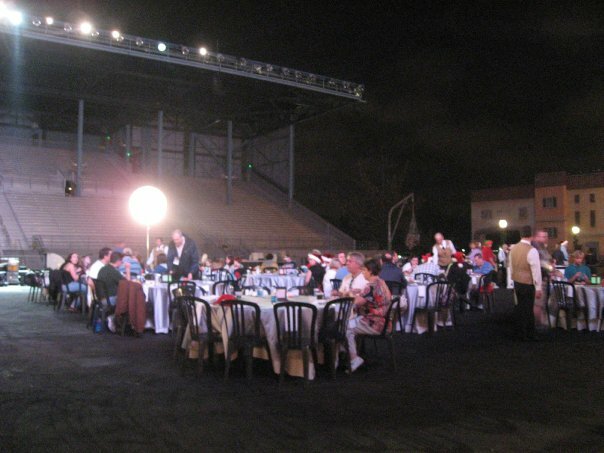 However, the dining experience that immediately came to my mind wasn't a normal meal on a normal Disney vacation. 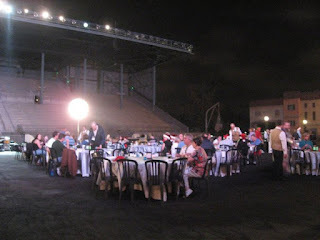 My most memorable meal was from D23's Magic and Merriment in 2009. It was a terrific trip - we had so many VIP experiences such as a visit to the Cinderella Castle Suite, a personal tour of the Osborne Family Spectacle of Dancing Lights, and VIP seating at the Candlelight Processional. 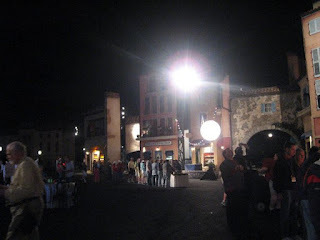 The most memorable part of the trip, however, was a meal that we had on the set of Lights, Motors, Action! Extreme Stunt Show. That's right, on the set! After a fabulous viewing of the Candlelight Processional, we boarded buses backstage behind the America pavilion and they drove us directly to the back of Lights, Motors, Action! We walked through the tunnel (where Herby the Love Bug comes through) and onto an amazing set. There were tables set with linens, glasses and ceramic place settings. Each side had a carving station with amazing fresh meats, pastas, and veggies. There were waiters and waitresses walking around serving drinks. There were spotlights on the set and Christmas music flooding the area. It was such an amazing atmosphere! As if it weren't enough, all of a sudden Mickey came by with his Santa suit on! I will never forget this special evening - an evening that cannot be replicated on any regular trip! Thank you for joining me today. Your next stop on the Magical Blogorail Loop is Return to Disney. Back in May I had the opportunity to attend D23's Fanniversary Celebration in New York City. Let me preface this post by saying that living in New York City allows me the opportunity to experience Disney without being in Disney. 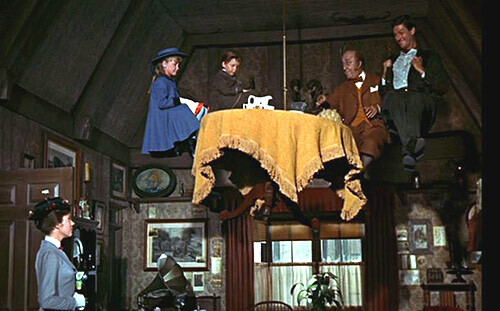 Even though I'm hundreds and hundreds of miles away from the Magic Kingdom, if I'm feeling the itch I am only a quick wind, a credit card swipe and a subway ride away from Mary Poppins. I know that I'm very lucky in this respect and I try to take advantage of this as much as I can. Me: D23 is hosting an event in NYC and it is going to be AMAZING! We have to go, we just have to! Tom: Awesome! Where is it going to take place? 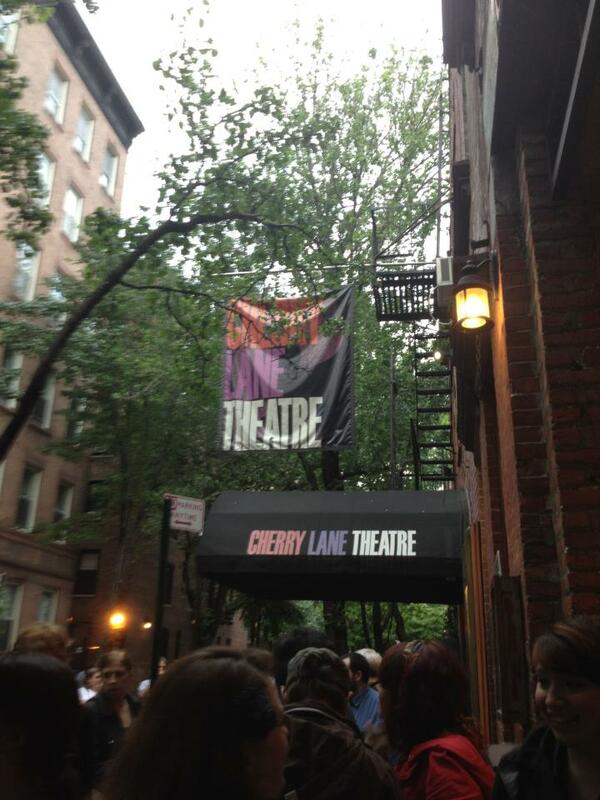 Me: This really cool, tiny, artsy little venue in the village called Cherry Lane Theater. It will be pretty intimate due to the size. Tom: Great. And what exactly is it? Even if it was simply a gathering of Disney fanatics (which it was, in part) I would have been incredibly happy. But in actuality it was so much more than that! The Cherry Lane theater was exactly what I thought it would be: a small, intimate theater in an location that makes you feel like you are in London, not Manhattan. Immediately upon arrival for the 8pm show, I started to notice all of the Disney Dooney and Bourke handbags, turkey leg tee shirts, and Mickey Mouse merchandise galore! While we were waiting outside the theater it sounded like a Disney AA meeting. "Hi my name is Rosanne, I'm a Disney fanatic. My drug of choice is Walt Disney World, though I've dabbled in Disneyland and Disney Cruise Line as well. Here's how I lost control..."
We were all given Fanniversary buttons as our "admission ticket" and I was given a nifty D23 pendant for being a member. 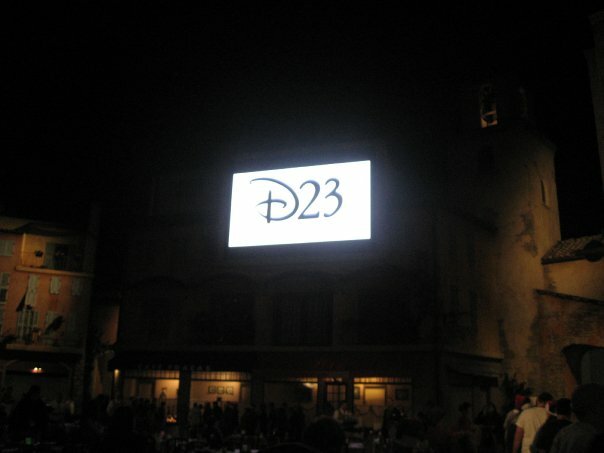 The event itself was hosted by Becky Cline, the Director of the Walt Disney Archives and Jeffrey Epstein of D23. We had the pleasure of meeting Jeffrey last year at D23's Magic and Merriment at Walt Disney World and he was just as personable as we remembered. The show itself was a celebration of all things Disney! Officially it was a trip back through Disney history celebrating 75 years of Disney Anniversaries. We covered cartoons, live action films, theme parks, parades, characters, events, etc. We started right at the beginning of the studios and ended in present day. Obviously I knew the more recent events best, but I enjoyed all the photos, videos of sketches of the older anniversaries most, because they were truly rare and beautiful. The audience was excited and engaged. I would guess that the most cheering came from a clip of the Main Street Electrical Parade and the Duck Tales (woo woo) theme song. I left the event satisfied, not quite starved of Disney. (I'm never full no matter how much I get) For an event that was priced at $18 a ticket, I thought this was very reasonably priced. I know this seems like this post isn't very timely, but the timing of this post is intentional. D23 JUST ANNOUNCED MORE FANNIVERSARIES! Do you live in Philadelphia, Seattle, Atlanta and Dallas? Then check this out! 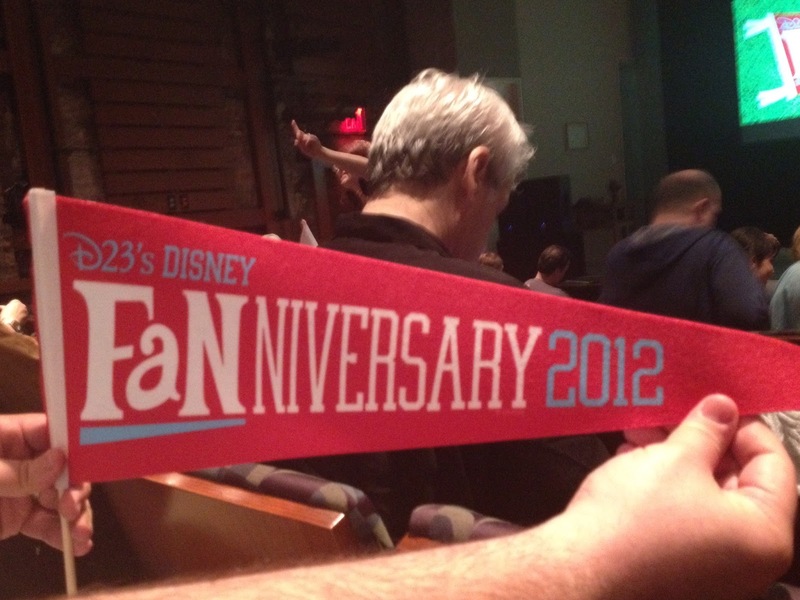 Did you attend any of the D23 Fanniversary Celebrations? What were your thoughts? When it comes to choosing a Disney resort hotel there are many varying opinions. Quite often guests have very strong opinions on which resort is the best on property. With all of the fabulous options, I have often wondered why this is. I recently came to this conclusion: your favorite Disney resort is often the resort where you have had the best Disney memories and the most magical moments. For me the resort that best fits this description is Disney's Grand Floridian Resort and Spa. For many, many years my family stayed at the Grand Floridian in August right before school started. As a kid, I probably would've liked any of the Disney resort hotels. But the Grand Floridian was truly magical for me. Every little girl dreams of being a princess and the Grand Floridian truly makes a kid (and some adults) feel like one. From the moment you arrive at the resort you feel like you are transported to the Victorian era. When you step out of your "coach" you are immediately greeted by a Cast Member. 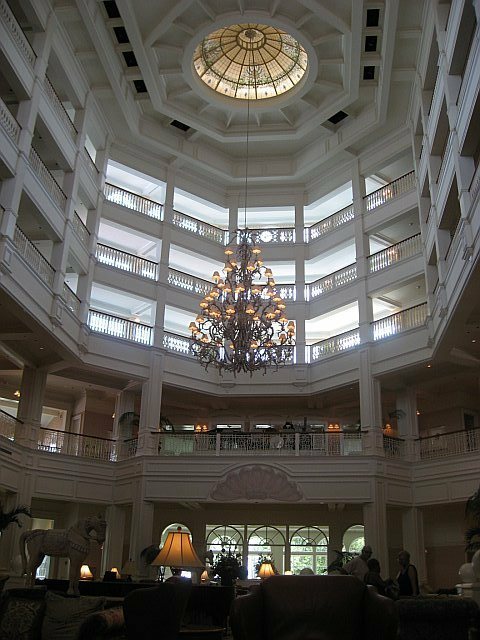 But for many, a visit to the Grand Floridian is all about that breathtaking moment when you walk into the grandest of lobbies. From the beautiful circular stained glass ceilings to the white paint, the lobby at the Grand Floridian is a sight to behold. Come at the right time of day and you are greeted by music from a live orchestra. Cast Members at the Grand truly aim to please. 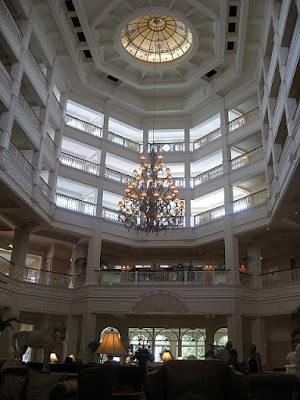 Apart from the lobby and the Cast Members, arguably the best feature of the Grand Floridian is its location. 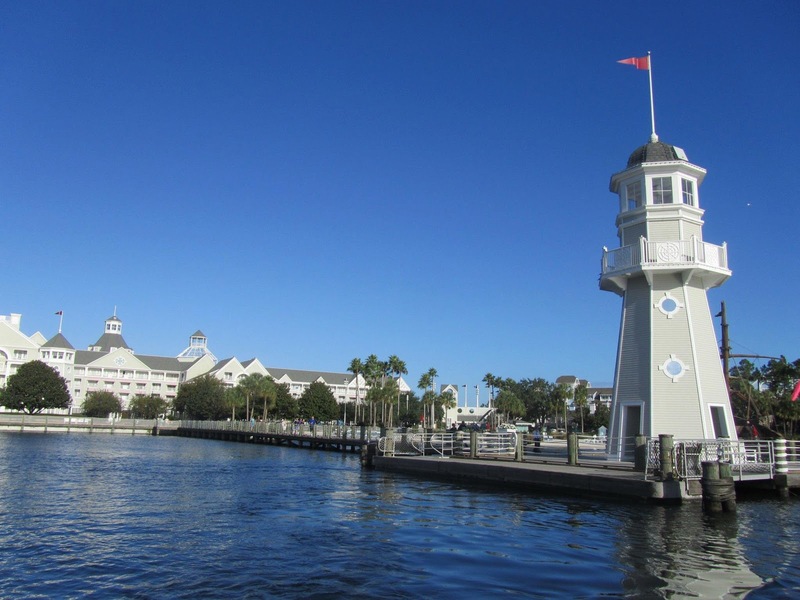 Just one monorail (and boat launch) stop away from the Magic Kingdom and a short monorail ride to Epcot, the Grand Floridian is situated on prime real estate and offers unmatched convenience. One of my favorite memories of the Grand Floridian is riding the monorail in a loop on check in day prior to going to our room. Most of my memories from the Grand Floridian do not involve anything "deluxe." 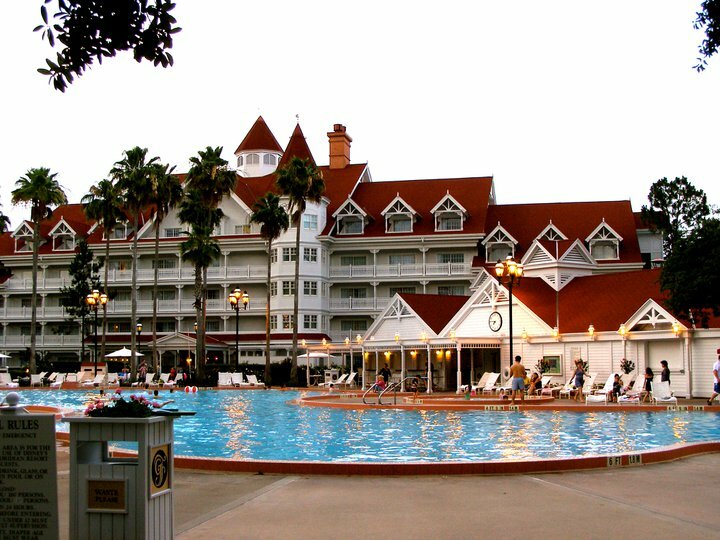 Some of my favorite memories of the Grand Floridian involve buying rice krispy treats from Gasparilla Grill and Games, midnight swims in the pool and taking photos in the carriage outside the front door. 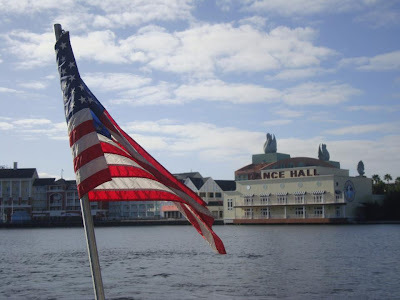 Of course, we do love our meals at Narcoosee's, Citricos, 1900 Park Fare and the Grand Floridian Cafe. I love the Grand Floridian with all my heart. I've been there hundreds of times, but it never, ever gets old. I hope that one day I can stay there and celebrate my tenth anniversary with my husband. What is your favorite resort? Thank you for joining Magical Blogorail Black this month. We will be back Tuesday, September 11th with an all new theme. Keep checking in with our blogs in between loops to keep up to date with our Disney news, photos and stories. 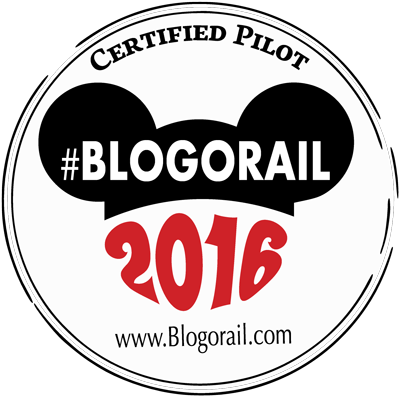 If you are looking for more Disney magic, you can make your way over to The Magical Blogorail website to see all our members and their blogs, as well as all our previous loops. Today's theme is: Mixing it up with Mickey and Minnie! 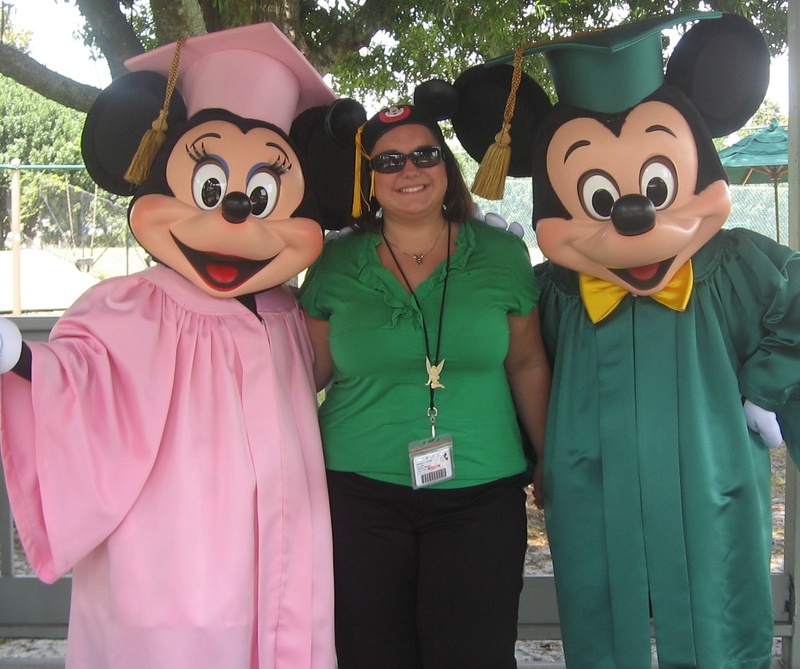 When you finish the Walt Disney World College Program or a Disney Professional Internship, you get to attend graduation. 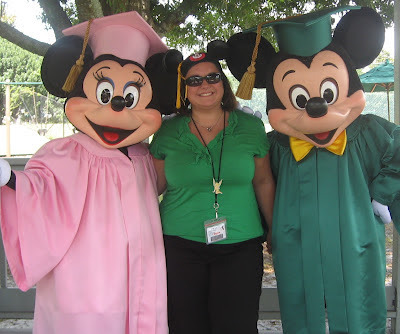 Here I am in 2008 at my Professional Internship graduation! Welcome to those of you joining me from Colorado Mountain Mom and those of you just hopping aboard. I am the 3rd stop on our Magical Blogorail. I am a Magical Blogorail machine this month! I am thrilled to be filling in on Magical Blogorail Red as we discuss the funniest things that have happened to us in Disney. 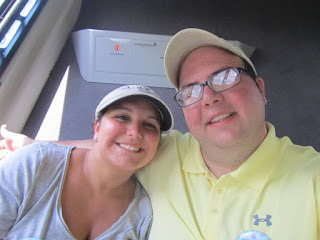 I have had many belly laughing moments during my trips to Walt Disney World over the years, and the majority of these moments have to do with my klutziness. Yes, I admit, I am a very clumsy person and my most memorable moments happen when there's thousands of people around. 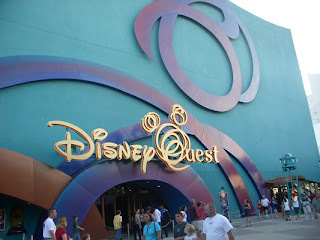 Disney Quest interactive theme park in Downtown Disney. 3. Right after my high school graduation I went to Walt Disney World with my best friend Griffo. 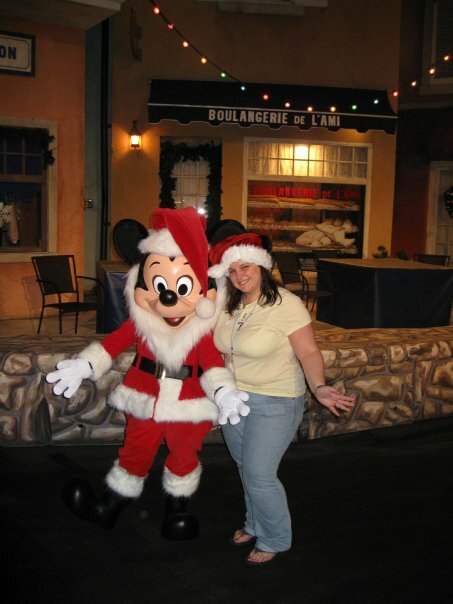 That's right, when everyone else was going to the Jersey Shore, Cancun or Miami, I was at the House of Mouse. After learning that I could not go into Pleasure Island at all (I would not turn 18 until October) we decided to spend our evening at Disney Quest. There was a very cute College Program Cast Member helping us build our virtual roller coaster at CyberSpace Mountain. Right before we were going to ride I realize that I left my bag at the station. Instead of calmly walking down to where we were I ran. Nothing good comes from me running and this time was no different! On my way back up the stairs to our station, I miss a step and fall on my stomach right in front of hundreds of people and that very cute Cast Member. One good thing that came from this - he let us ride our coaster twice! 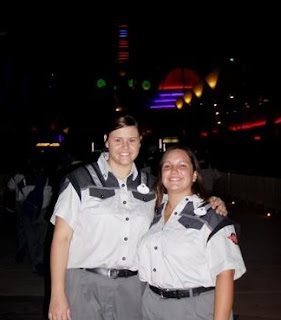 When I (right) worked at Space Mountain. 2. When working at Space Mountain everyone knew of my propensity for klutziness. Every night as we walked the track for lost and found items I was extra careful of each step. My idea of a memorable Disney moment did not involve me falling from the top of Space Mountain to the ground below. 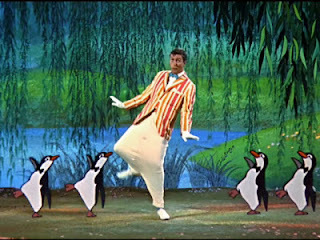 Yes, I moved slower than normal, but I never fell. 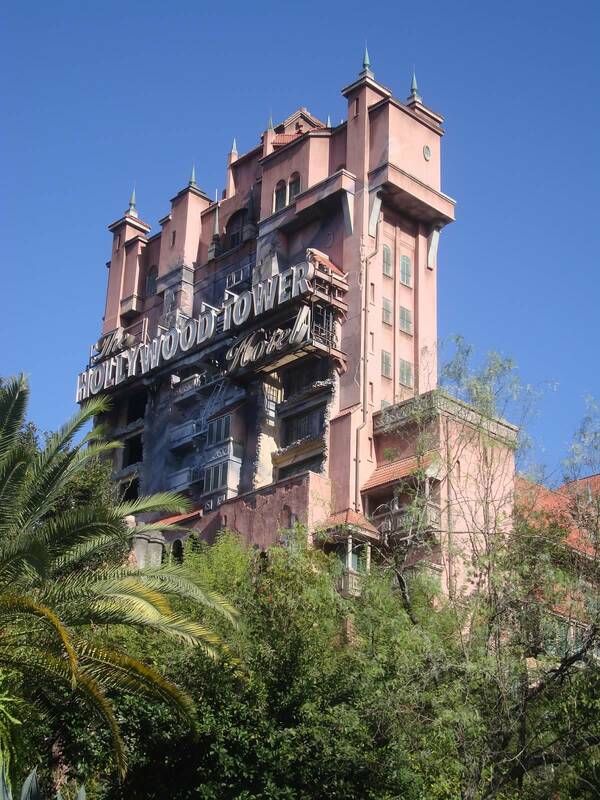 But that didn't stop me from falling while the ride was operational and guests were in the building! One day I was working at the unload area (where you get off the ride) and someone came to give me my break. Unload was my least favorite position at Space Mountain because you really couldn't chat with the guests and it was boring! Like we were taught, I made the cross sign so the other Cast Member didn't send a rocket ship while I was crossing the track. Unfortunately that was the least of my worries as my foot got caught and I fe1l directly onto the unloading dock and back on the track in front of many guests. (Are you starting to notice a pattern yet?) Thank GOD the other Cast Member with me was paying attention and there was no harm done, other than my ego being beaten down with a stick! Walt is a friend of the Magic Kingdom birds. 1. 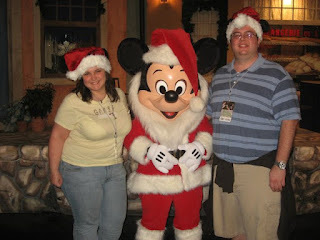 My funniest moment at Walt Disney World wasn't all my fault, like the previous two stories. However, it is the one that made me and my party laugh the hardest. A few years after our College Program, my roommates and I decided to go back down for a reunion. We went down the week after New Years which is a GREAT time to go if you like short lines, but not a great time to go if you like warm weather. It was quite chilly and we were all wearing hoodies. My roommates decide they want to ride Splash Mountain, but I wasn't too keen on getting soaked when it was 45 degrees. Therefore, I convinced my friends Kristy and James to come with me to get a churro in Frontierland while our roommates rode Splash. It was right after the parade and the crazy birds of Frontierland were lurking for any popcorn, pretzels or french fries left behind. Kristy and I finally get our hands on churros and we began our trek back to Splash Mountain to meet our friends. That's when it happened. As I hit the ground I dropped my brand new churro, which was swiftly grabbed by two birds - one on each side. I kid you not! And as I stood up, the bird pooped on my sweatshirt. After the initial shock of what just happened the three of us began to laugh uncontrollably. Tears were streaming down our faces. And that's precisely when Kristy's churro was stolen by another bird. I only wish a PhotoPass Photographer was around to document all of this! As you can see all of my funniest moments at Walt Disney World are also my most embarrassing. I've most certainly learned to laugh at myself over the ears. I'm also glad I could give my friends and family a good laugh!